According to Statcounter.com, visit lengths are considered “the time between when a visitor accesses your first webpage of their visit, and when they access the last.” While this particular measure isn’t 100 percent accurate, it’s pretty close and provides important information about your visitors and what they’re doing. So, why is this SEO information important? Put simply, the longer a visitor stays, the better standing you’ll have with the search engines. If you were to check your statistics, chances are the majority of your site’s traffic stays for less than five seconds. Google and the other search engines take note of this. It can be considered that your website or its content isn’t valuable enough to hold visitors. Your lower rated ‘pull’ and ‘interest,’ will cause a lower website ranking. If you can hold a visitor for over 30 seconds you’re doing pretty good. Each increment beyond that demonstrates a rise is your website’s ‘pull’ and ‘interest’ capabilities. At this point, you may be wondering how you can get traffic to stay on your site beyond 5 minutes, which will give your rankings a boost. Well, how long does it take you to read one article? If that article is informative, a visitor will want to know what else of value you have on your site. This leads the visitor further and deeper into your site. She’ll look at older titles and read more articles of interest. I’ve been on sites where I’ve read three or four articles, causing me to go deeper and deeper into those sites. This is how ‘pull’ and ‘interest’ work. A visitor is pulled in by the informative and interesting content. The easier it is to find additional relevant quality content, the longer you’ll hold that visitor’s attention . . and viewing time. 1. Create embedded links within your content. For example: if you have the word ‘marketing’ in your article, link that word to another article on marketing within your site. 2. At the end of your article include three or four additional article titles and link them directly to the articles. So, the next time you’re posting an article to your site, take the extra few minutes to include links to other articles within your site. This is a proven method of engaging and holding your visitors, thereby increasing your site’s ranking. 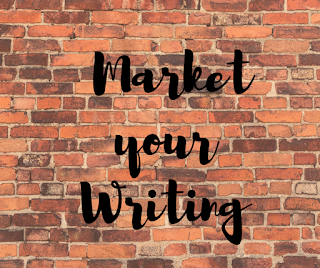 Are Your Writing and Marketing Efforts Really Productive? Thanks for this, Karen. I have always wondered what it means to "embed" links. I need ot read up on that. Good article. Glad it was helpful, Shir. Embedding simply means to highlight a particular word or phrase then link it to another article on your site. Just be sure you link to a relevant post. So, if your article is on email marketing and you want to embed the keyword "email marketing" to another article on your blog, make sure the article you link to deals with email marketing. Thanks for this great information, Karen. It's a life saver which I hope to dig into soon. Linda, glad the article is helpful. While it's only one element of website SEO, it does make a difference. Excellent primer about SEO and website traffic. I appreciate your expert coaching on this subject. Thank you for explaining it all in easy-to-digest steps.